114 photos of a 2008 cruise on QE2 from Southampton to Norway and Spitsbergen. Queen Mary 2, leaving Southampton, Mon 2 June 2008 1 - 1734. 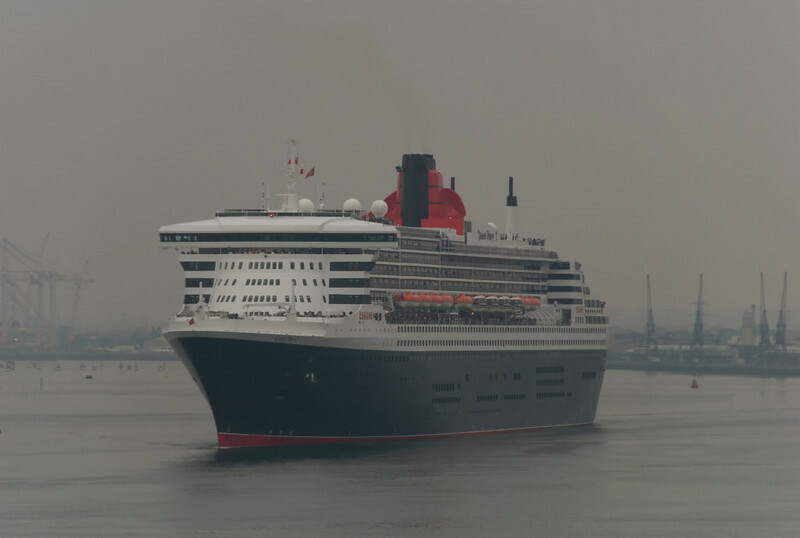 Here are six photos taken from Queen Elizabeth 2 of QM2 leaving the Mayflower terminal on a very murky day. She was bound for New York; QE2 for Norway and Spitzbergen.